Contributed by Kayla Gaydosh, a reluctant outgoing Webmaster and excited incoming Secretary. A year ago I received the Junior League of Annapolis President’s Award, also known as the “Just Do It!” Award, which is given to an Active member for her outstanding level of volunteer service that league year. You might think, in a league whose mission is to promote volunteerism and improve the community, I would have done a lot of community service to be given such an award. But I didn’t. I won the President’s Award for jumping into a recently vacated role, with no prior experience or skillset for that role, in the middle of the league year. I never looked back! That’s when I learned Junior League is not just about the volunteer community service. In fact, I never considered myself as someone who likes to do community service. Maybe it’s my shy introverted nature. Honestly, I joined the League to make friends, at a time when I desperately needed some friends—I was going through a divorce in a town where I had no family and friends of my own. I wasn’t sure how I’d like the volunteering part, but the great part about the Junior League is that to be considered a “good volunteer” doesn’t necessarily mean you have to be consistently outdoing yourself on community service. We volunteer our time, our skills, our ideas, and usually a little bit of our money. I took it one day at a time. One Digital Cheetah tutorial at a time. One member request at a time. The best way to figure out how to manage a website is to let it run you for a while. The tasks will find you. Sometimes they are a steady trickle—other times they’re like a firehose. From calendar event dilemmas to tracking ticket sales, you never knew what awaits in the webmaster inbox. At times, I felt like the glue that held the league together. I enjoyed it—challenges and all! And thus, I decided to stay on as webmaster another year. The great part about being webmaster is you interact with a lot of different members, different committees, and different leadership roles. You are not confined to the Communications Council and External Communications committee bubble. Plus, you get to be the interface between the League and the Digital Cheetah admin/IT support. Not only did I learn new technical skills, but I learned management and leadership skills. Skills that I can transfer to other areas of life. Skills that I can grow upon while in a leadership position! I learned how a website works. I learned how Junior League works. And as luck would have it, fate has struck again. Another vacancy has popped up unexpectedly, and now I find myself sitting on the Board of Directors as the incoming JLA Secretary. When it comes to Junior League, you never know where you’ll end up or what opportunity will be presented next! Kayla Gaydosh is heading into her fourth year with the Junior League of Annapolis. She served as Webmaster from October 2015 to May 2017. She will take on the Secretary role for the 2017-2018 league year. She is currently a Reliability & Maintainability Engineer with the Navy. 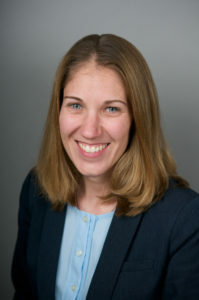 She holds a Bachelor of Arts in Physics and Astronomy from Bryn Mawr College and a Master of Science in Systems Engineering from the University of Maryland. Originally from Western Pennsylvania, she now lives in Annapolis with her crazy calico cat, Machka.